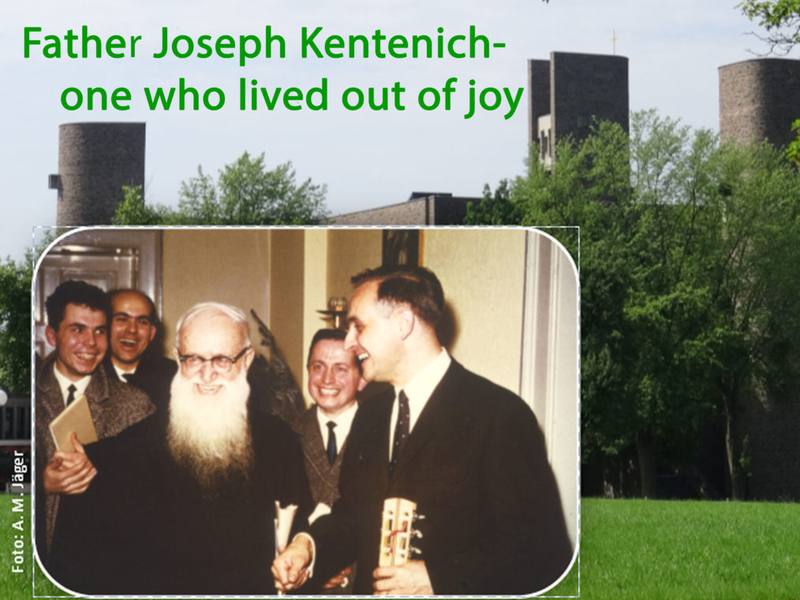 Almost as if written on his face, Father Kentenich consistently reflected serenity, cheerfulness, and joy. This inner attitude attracted many people. How was it that he radiated so much joy, even in difficult times and situations? How is it that his joy could be so contagious? A co-prisoner told about the difficult years in the Dachau concentration camp. “Seldom in life did I laugh as heartily as on Sunday afternoons when we, although it was forbidden, met with him in the sick bay.” With a glow in his eyes, Father Kentenich walked through the camp, “as if all this could not harm him.” Even during his exile, this radiance did not fade. Photos show him with a radiant face just moments after he had received very painful, even crushing, news.